Research on 20,000 middle-aged men and women found that those who drank it regularly had mortality rates almost two thirds lower. Previous studies have found that coffee can improve liver function, reduce inflammation and boost the immune system. The new study suggests that it could reduce the chance of early death from all causes – by as much as two thirds. Every extra two cups were associated with a 22 per cent drop in mortality – rising to 30 per cent among older patients in the study. And those drinking four cups had a 64 per cent lower death risk, compared with those who never or rarely consumed coffee. 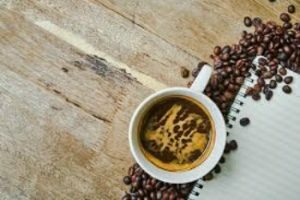 There are various reasons why people who regularly drink coffee suffers from lower mortality but it helps to know that it isn’t such a bad habit after all. There are other studies suggesting three coffee cups daily can even lengthen one’s life. Isn’t that just a good enough reason to indulge in more cups of happiness that not only improves your health but helps you stay awake and energized throughout the day? Gallup reported how much Americans love their coffee and shared coffee shops are the fastest-growing segments of the restaurant industry. “Sixty-four percent of U.S. adults report drinking at least 1 cup of coffee on an average day, unchanged from 2012 and remarkably similar to the figure in 1999.” The study found women drank more cups per day than men, and many coffee drinkers didn’t consider the drink to harm their health. Our lives orbit around coffee as it signifies a time to sit back to relax or invites us to socialize. Finding out the health benefits is gravy. Here’s a list of good reasons to drink coffee. What everyone needs to remember is to always take everything in moderation, including their coffee drinking habit. Do not go overboard because even good things have negative consequences when done or taken in excess. Although not everyone is a fan of coffee, many are undeniably hooked to it and won’t hesitate in paying for overpriced coffee drinks in most posh cafes littered all over the country. And there are many peer-reviewed scientific journals backing up most of these claims, so you can safely give in to your caffeine addiction and not feel bad about it or regret it later. The bottom line here is that coffee is good for your health and scientific studies back it up as long as you drink in moderation and lead a healthy lifestyle. This is basically the key to a long and healthy life, no shortcuts, no ifs and buts.